I had the pleasure of trying Teatulia’s white and green tea. I must admit I had not even tried green tea up until delivery of Teatulia’s tea. Green tea just never sounded appealing to me, so I had stayed away. I had been hearing about white tea and was particularly interested in trying it out. Well, I must say I was incredibly impressed with both! They both tasted fabulous and refreshing. Additionally, the packaging is waste free with biodegradable tea bags and containers made from recycled paper, water based ink and it’s all compostable! Want the opportunity to try some of Teatulia’s wonderful tea? Teatulia will be offering one of my readers the opportunity to win their Signature Tea Pack consisting of their black, green and white teas. Visit Teatulia let me know what you would buy or build from their product. Follow Teatulia on Twitter and comment with your Twitter name. One winner will be chosen on Wednesday 7/22/09. Please don’t forget to leave a separate entry and any entries that show obvious laziness i.e. a simple “Thanks for the great giveaway” will not be published therefore not counted. It’s just not fair for the people that do know how to follow simple directions. US residents only. Thanks! I would absolutely love to try neem nectar and Vasaka Laka. Those two sound amazing! I follow Teatulia on Twitter. I would buy a Teatulia sample pack. THe Teatulia Green Tea sounds wonderful! I would get the Bengal Breakfast tea! The Earl of Bengal Tea sounds very nice! I would love to try the Tulsi Infusion. .-= Tammy´s last blog ..To SquarePants or Not To SquarePants =-. (Hopefully this isn’t a duplicate because I got an error message the first time I tried to post.) I’d like to try Teatulia Tea because I’m a tea drinker and love to try new brands, but also because I like their mission statement and what they’re doing. All their varieties of tea sound good to me. I’d love to try the Vasaka Laka. I would love to try the Teatulia Black Tea. I Subscribe to your feed via google reader to stay up to date with the latest from Eco-Office Gals. 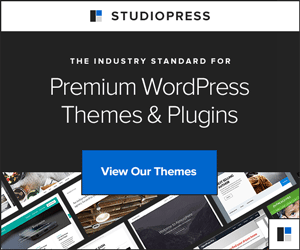 i follow Teatulia on twitter – js22222222 . Vasaka Laka Malobar Nut & Ginger Accent sounds great! I would like to try the Tulsi Infusion and the Teatulia Green Tea. I would purchase the Tulsi Infusion. I would like to try the Bengal Breakfast. I love a cup of hot tea in the morning. It just starts my day off great. I would try the Vasaka Laka. It sounds really good. The Vasaka Laka tea sounds really great! Earl of Bengal tea for me! I’d buy the Teatulia Green Tea! The Vasaka Laka tea sounds really nice – nutty with ginger accents. I would buy Earl of Bengal Tea. I think I’d like to try the Teatulia Green Tea. Sounds good to me! I’d like to try the Neem Nectar. I am following Teatulia on Twitter…my user name is Nelsby. 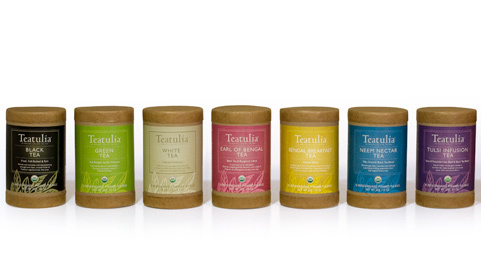 I would love to buy the Teatulia Body Balanced Blends set…thanks! I would love to try the Teatulia White Tea! It sounds yummy! I like the sound of the Teatulia Black Tea, naturally strong and sweet. Sounds perfect for me! .-= Auriette´s last blog ..Why is it…. =-. I would try the Vasaka Laka tea. Ive not heard of it before and I realy like trying new teas. I am a tea fanatic, but I do like a good basic, so I would really want to try the Teatulia Black Tea. Bengal Breakfast Tea is the one I’d choose. I would buy the “Tulsi Infusion”! Thanks! I love tea! I’d love to try the Teatulia Black Tea! The Bengal Breakfast Tea looks great!! Teatulia Black Tea but Earl looks good too. The Teatulia Black Tea looks good. The Bengal Breakfast Tea sounds like a serious wake up beverage. I would like to try their Earl of Bengal Tea (I like Earl Grey!). Thanks! .-= Lori´s last blog ..Green Jobs at Home – July 21, 2009 =-. I like Vasaka Laka Tea. Since I like ginger and nuts both, I think the Vasaka Laka sounds great! Thanks. The first thing I’d choose would be the Teatulia Green Tea in the biodegradable pyramid bags. I would like the Neem Nectar tea. I could see myself drinking a cup a day just for the health benefits as listed on the site. Almost beats an apple a day! 😉 Thanks for this giveaway. .-= Dddiva´s last blog ..French Silk Chocolate Pie (Adapted from the Pillsbury Bake Off cookbook) =-. Silky-Smooth Savor since I haven’t tried or heard of it before. Appreciate you introducing the company and hosting the giveaway, any time we can do things in a more eco-friendly way we try to. I’d get some Earl of Bengal tea. Hubby is a big Earl Grey drinker and I’m sure he’d appreciate something new to try! I’m interested in the Vasaka Laka tea. Anything that helps me breathe easier is a plus. The Vasaka Laka sounds really interesting! I love tea, I drink it quite a bit. I’d love to try Earl of Bengal Tea! The “earl of bengal” tea seems tasty to me! There are so many health benefits from Green Tea. I continue to buy Green Tea, I have not found a brand that I really like. So I would give the Green Tea for first try. And another poster mentioned the benefits of Neem, so I would try that also. I learned an interesting geographically fact: Bangladesh is no bigger than Florida, I always thought of it; as being a much bigger area. I would buy the Earl of Bengal tea. We love Earl Grey here, and that sounds like a wonderful twist on a classic tea flavor. .-= jeanilyne´s last blog ..(7/24) Spearmint Baby ~ Danielson Designs TheStudio Giveaway =-. I just love tea, so this would be an amazing prize. I would buy the Teatulia Green Tea! I would get the Bengal Breakfast Tea. Never hear of Teatulia but I sure would love to try it! I love tea and my hubby also!! The Earl of Bengal sounds interesting–Earl Grey is one of my favorite blends. I would like the Earl of Bengal tea- I drink Earl Greay, so I’m rather curious. Brew up a cup of Bengal Breakfast tea for me please! I would love to try their green tea and the white tea since we drink tons of both at our house. The Neem Nectar Tea also looks interesting. I would get some green and white teas! Both are excellent in flavor and good for you! I would buy the Bengal Breakfast Tea. I’d like to give the Neem Nectar a try. I would buy the Tulsi Infusion or the Teatulia Green Tea, both of them sound amazing. I love tea, so thank you for the great giveaway! I like the Vasaka Laka Tea! .-= HilLesha´s last blog ..Jewelry City and More Giveaway =-. I would buy Teatulia Green Tea. My kids are so lovin tea and it’s so good for them! This would be awesome to win! What an awesome company. I love teas, we all do here in my home. I love both green and white teas, have never tried black tea. My girls love green tea. So yes, we are big tea drinkers. We grow our own mint leaves and enjoy a cool refreshing glass of mint tea everyday. I really love that the packaging of the teas are all biodegradable and can be composted. Our veggie garden would love that as well. I went to the website and found Vasaka Laka to be a very interesting tea blend… Ginger. yumm. Thanks for the opp to win and for sharing an awesome company.